Whatever you call it, picking out the best pram, stroller or pushchair for your baby can be an overwhelming experience, especially for first time parents. There’s a huge amount to consider: size, manoeuvrability, weight and, yes, cost. Because make no mistake, buying your baby’s pram is neither an exercise in fiscal restraint, nor somewhere you want to cut corners. The sheer number of options can be overwhelming. But the wide amount of choice, coupled with brands who have years of experience in making brilliant prams, means there’s something to suit everyone. Big names like Bugaboo and iCandy have been joined by upstarts such as Babyzen, with competition a real boon for consumers. What features do I need in a pram? If you’re a first-time parent, investing in a travel system is a good idea. 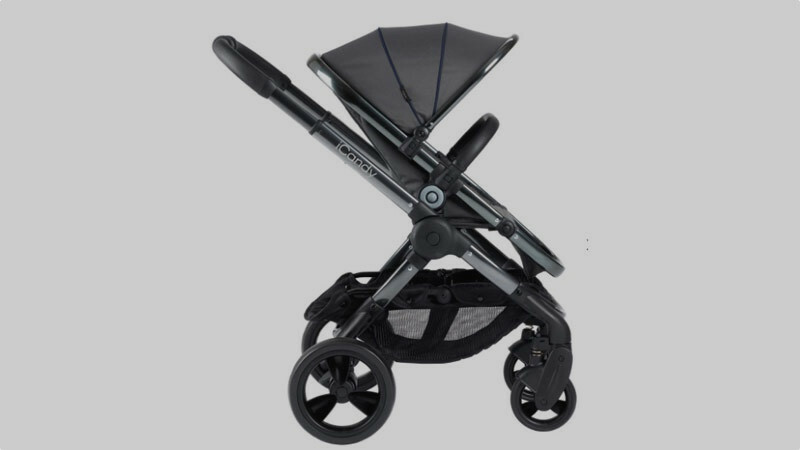 It includes a main chassis to which you attach a carrycot, pushchair (front and forward facing positions) or car seat, depending on age and situation. This flexibility allows the pram to grow with your child, usually until they are three or four (but do check weight limits), and some can even accept a second seat for future children with special adapters. They're usually sturdier than a standalone pushchair too, and usable from birth. If you’re shopping with a newborn in mind, a carrycot is key. Current NHS advice is that babies should lie flat in their prams until they can sit confidently – usually at around six months. In place of a carrycot, some prams offer a newborn insert that turns the pushchair element into a lay-flat design suitable for young babies. This can save some money, and space, but a carrycot is usually less restrictive for baby, and can also usually be used for overnight sleeping in a pinch. Other considerations are the size of the travel system, particularly for those with smaller cars and homes. A travel system chassis can take up a heck of a lot of room, so it’s worth being sure they fit where they’re supposed to, when folded and unfolded, and that they aren’t overly heavy for hoisting around either. It’s also worth watching some videos online to check how easy they are to fold down – you’ll usually get the knack of whatever you choose with time, but one-hand folds are particularly useful when you're loaded up with baby stuff. Finally, don’t forget to check the size of the shopping basket underneath. When your hands are full, this basket will be your lifeline – from storing supermarket shopping in to taking the strain of your bulging baby bag. Just make sure it’s a decent size and easily accessible no matter what seat is attached. Read on and we’ll take you through the best prams and travel systems available right now, whatever your needs and whatever your budget. Dutch brand Bugaboo has become a byword for expensive travel systems. But the simple fact is that their products are among the very best out there. Rock-solid finish coupled with functional design, its prams and pushchairs are made to last. The Cameleon3 is the third generation of its all–in–one pram, designed to work from newborn through to toddler. This is the pram equivalent of a 4x4, with an all-terrain system that lets parents swap the seat around and put the larger wheels at the front when covering rough ground, or use it in a two–wheel position to get across sand or snow. That’s not all. The suspension can be tweaked, and the seat can recline or be moved upright, face forwards or backwards, depending on your baby’s age. The seat and bassinet attachments can be removed and placed on the ground, too. The Cameleon3 is also car seat compatible. 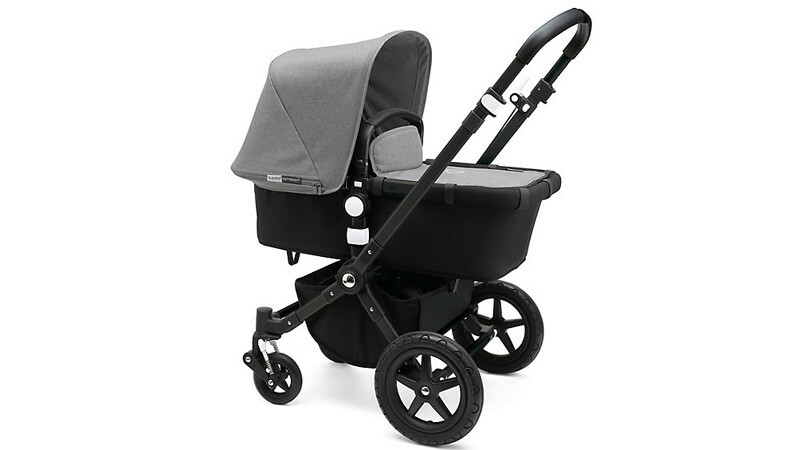 The Quinny Hubb is the perfect pram for urban living. Despite its spacious design (just look at that shopping basket! ), it’s perfectly proportioned for city life, measuring just 57cm across – great for navigating narrow shop doorways and busy public transport. The shopping basket is worth a second mention. It’s huge, and capable of carrying 10kg of stuff (or 20kg with the XXL shopping basket accessory, sold separately), plus there’s a secret storage pocket at the front for tucking away a purse or phone. Such a spacious design gives the Hubb real flexibility. There are almost countless ways to configure this pram, with a modular design that grows with your family. For newborns, there’s the carrycot or from-birth cocoon insert, then the pram seat from 6 months and the specially designed Maxi-Cosi Pebble car seat to boot. Not only that, but for a second child, it can support most configurations - you simply add the additional seat attachment you need (with additional adapters), and you’re ready to go. The foam-filled tires promise a smooth and comfortable ride, even when you get off of city pavements, and the one-handed fold makes it super easy to put up and down – though it’s 95 x 57 x 34 cm folded dimensions mean it probably won’t suit smaller cars. This compact pram is billed as the first transport system that can be folded down to fit into an overhead luggage compartment. Unlike the other prams here, it is lightweight and can be collapsed one handed. 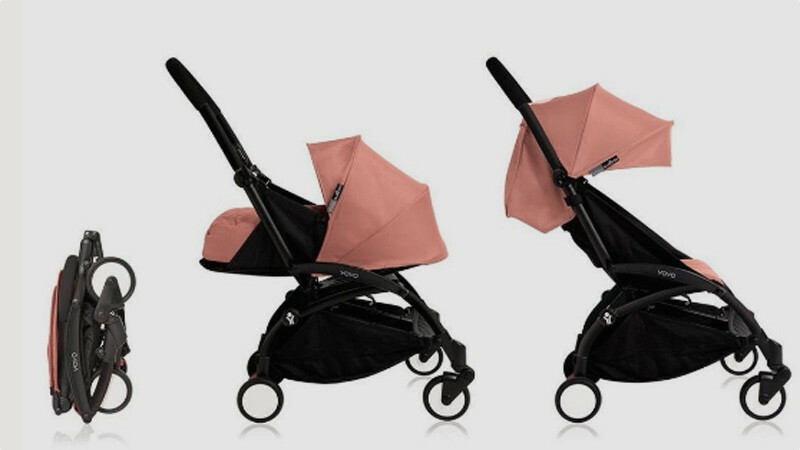 It is also noticeably smaller than models from iCandy and Bugaboo, although that’s no bad thing. Getting it into tight spaces is easy and it’s particularly handy for those who live in small houses or flats where access is awkward. 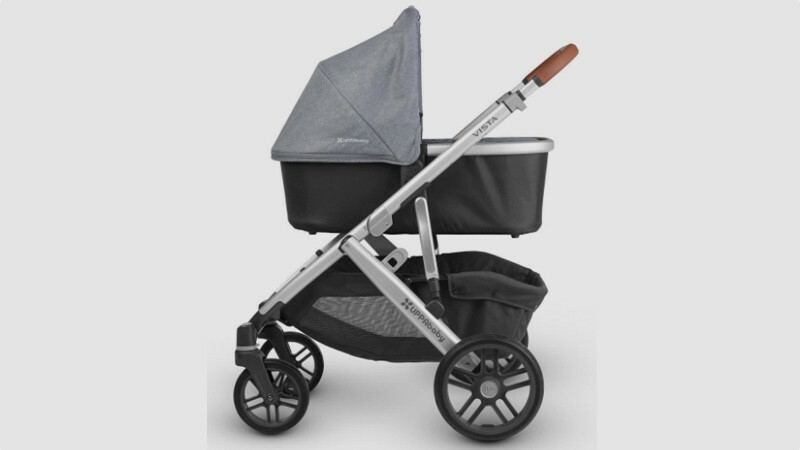 Universal wheels make steering a breeze, although the small space beneath does not offer a huge amount of room for a baby bag and shopping. It’s advisable to load this area from the front rather than the back. The newborn attachment is designed to work until baby is six months old, when they can move into the front–facing seat. This can be used up until they’re two, meaning there’s no need to invest in a different pushchair as they get older. Special attachments also make the YoYo+ car seat compatible. iCandy’s Peach has become something of an icon, thanks to its sharp design and its carrycot that can double up as a Moses basket for newborns. There’s no escaping the fact that it’s an expensive proposition, coming in at close to £1,000 with the carrycot attachment. But the fact is, you get what you pay for. It has excellent suspension, making it easy to push over uneven surfaces without making baby uncomfortable, works with car seats and even has space to add a second chair for older children. There are three different seat positions and the option to have your child facing out into the world or back towards you. 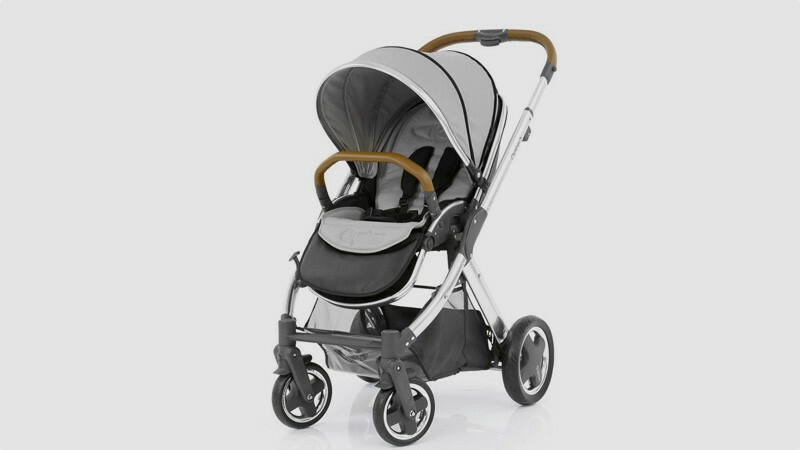 Throw in an easy folding mechanism and a lifetime guarantee and you can see why the iCandy Peach has such a solid reputation. A pram that has won plenty of plaudits, the Uppababy Vista is a fully featured all rounder that easily rivals both the Bugaboo and the iCandy. Like all the other prams here it comes with a carrycot attachment for those early months, as well as a pushchair that can be used until your child is a toddler. The carrycot is suitable for overnight sleeping, with a breathable mattress included. The frame adapts depending on whether the carrycot, pushchair or a car seat is attached (car seat adapters sold separately). And with six reclining positions available, your little one will be able to lie down or sit upright. There’s even a high chair setting so they can eat at the table with you. 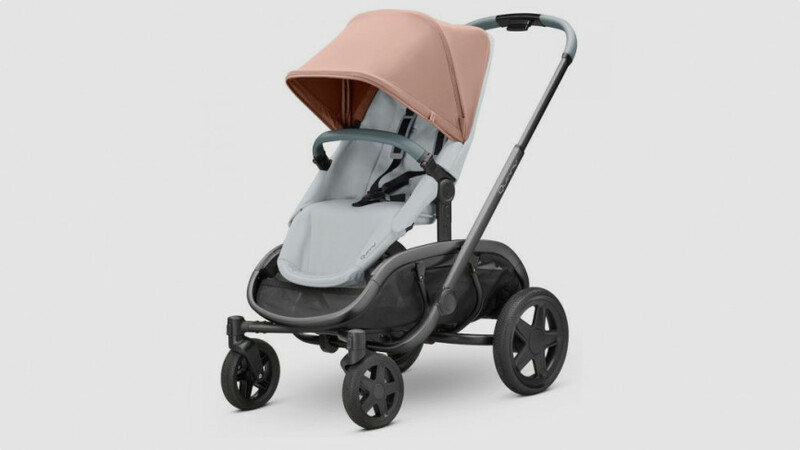 The extendable sunshade is UPF 50+ rated, there’s space for an extra seat if needed and the four-wheel suspension means the Uppababy can handle the roughest of terrain with ease. It is on the larger side compared to the competition, though, so those with smaller houses or cars should consider this. At the more affordable end of the scale, the successor to the hugely popular Babystyle Oyster has a lot going for it. It has a big shopping basket, which is easier to access than that on the similarly–priced BabyZen and looks similar to the Bugaboo, Uppababy and iCandy without the same wallet–melting price tag. There’s a mosquito net built in and a built–in rain cover too. Of course, there are compromises. The carrycot isn’t suitable for overnight use and the suspension and handling isn’t quite as good as the pricier models here. But those are small quibbles when this costs half the price. It’s not as compact or lightweight as the BabyZen, but for those on a budget, this is an option that should not be passed up.